The faculty of Arts and Design held an orientation session for Décor Department on Tuesday 28/3/2017. The orientation session included an introduction to the department’s two programs: the Interior Design Program and the Expressive Arts Program. 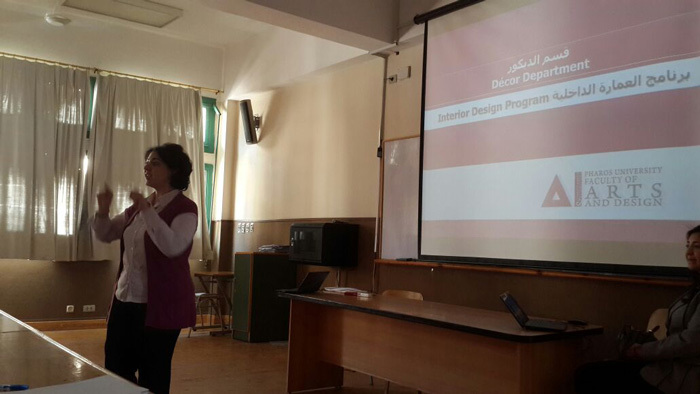 Dr. Reham Ismail Taha, a Lecturer at the Décor Department outlined the importance of the interior design. Meanwhile, Associate Prof. Randa Ismail Taha gave an orientation session for the Expressive Arts program which is concerned with how to make designs for theatre, cinema and television. The study in the Expressive Arts Program covers the different theatrical scenic designs, in addition to the theatrical costumes and accessories designs. This educational program also includes studying how to make designs for the TV real and fictitious sceneries. Moreover, the Expressive Arts Program covers the study of digital characters’ designs that are produced on graphics programs. 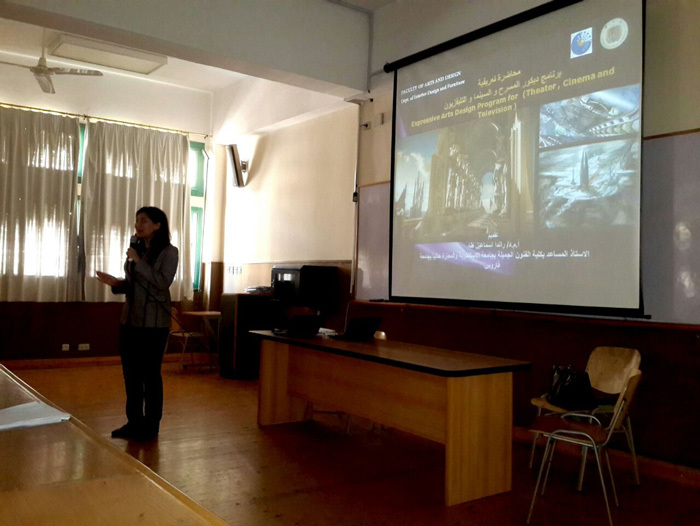 The orientation session was under the supervision of Associate Prof. Nahla El- Deeb, the Leader of the faculty’s student activities.